Recycling saves money and cuts down the amount of waste released into the environment. Metals are known to be the easiest recyclable materials. They are readily processed at scrap metal facilities in many recycling centers. Metals hold their basic properties and value fairly well. They can be recycled multiple times without depreciating significantly. Recycling metals help in energy conservation, reduction of greenhouse gas emissions, and diversion of significant amounts of waste from landfills. It is known that people have been recycling steel for over 150 years as stated by the U.S. Environmental Protection Agency. All steel alloys and iron can be melted down to create new useful and long-lasting products. Steel machines, beams, and equipment are recyclable by manufacturers and contractors while food containers and steel cans can be recycled at home. Old appliances and furnishings have steel casing or framing which can be easily disassembled and recycled hence reducing the waste that goes to landfills. The recycled steel has many uses that include making cars and framing buildings thus reducing the cost of manufacture and construction. Research by EPA reveals that steel recycling needs less energy consumption (56%) and expenses involved in the production of new steel. 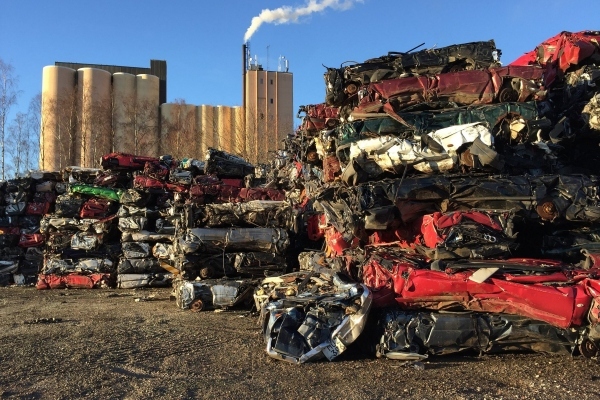 The more steel is recycled, the more manufacturers can use cheap existing steel supplies, in turn, keeping the prices of many consumer goods significantly low. This metal has many uses ranging from electrical wires and building materials to plumbing pipes and jewelry. Copper is majorly used for decorative objects since it has a rich natural color. Studies show that only 12% of the raw copper supply in the world has been mined despite people using it for thousands of years. Copper’s high recycling rates have enabled it to retain its values through the years. Scrap copper has almost 95% of the value of new copper which makes extensively valuable and a favorite for many scrap dealers. Copper recycling helps you earn money and simultaneously enable you to play a vital role in the conservation of the natural resource. 90% of energy is conserved when you use recycled copper compared to manufacturing materials from virgin ore. Recycling of aluminum cans needs around 5% of the total energy consumed in the production of new cans according to previous studies by Oberlin College. Recycling your aluminum food containers, cans, and building materials assist in the protection of the environment significant reduction of emissions. Whenever a ton of aluminum is recycled, enough energy to power a home for up to ten years is saved. Recycled aluminum helps keep prices of daily items low since it can be used to make mechanical equipment, food containers, sheet metal, beverage cans, and cars. Lead is ranked among the most important materials that should be recycled. This metal is found in car batteries, building materials, together with scientific and medical equipment. Whenever lead waste is disposed of in landfills, it seeps into groundwater supplies harming the surrounding ecosystem. The lead can also contaminate drinking water supplies. The contaminated water is linked to nerve and kidney damages together with learning disabilities in children as stated in previous studies by Lenntech Corp. Recycled lead makes protective equipment for hospitals, batteries, and protective equipment for doctors’ offices. Jenna Mancinni has a passion for helping people understand and learn what it means to ‘lessen their carbon footprint’. She speaks publicly to grade schools and teaches kids the benefits of recycling and the importance of the phrase “reduce, reuse, recycle”. She also enjoys putting used products into her, one of a kind, art pieces.